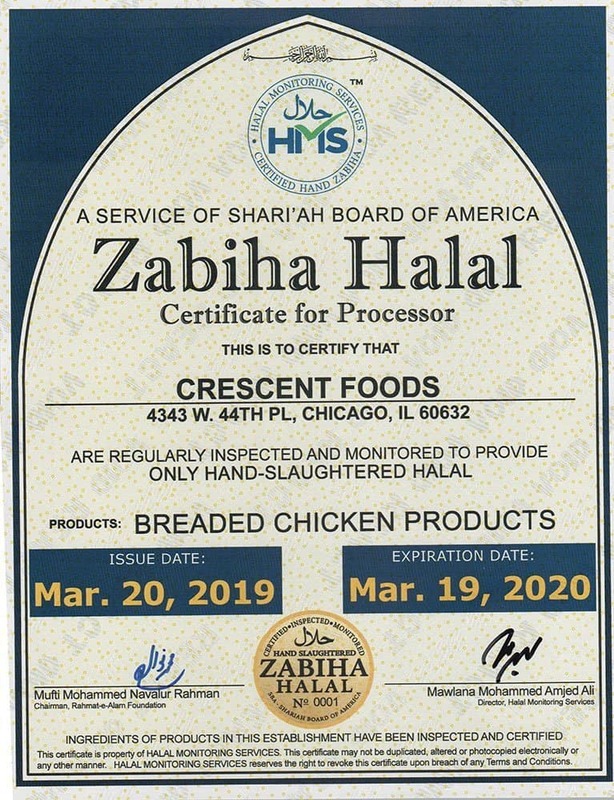 Crescent chickens are hand slaughtered individually according to Halal guidelines by Muslims with strict adherence to all required aspects including direction to Qiblah. 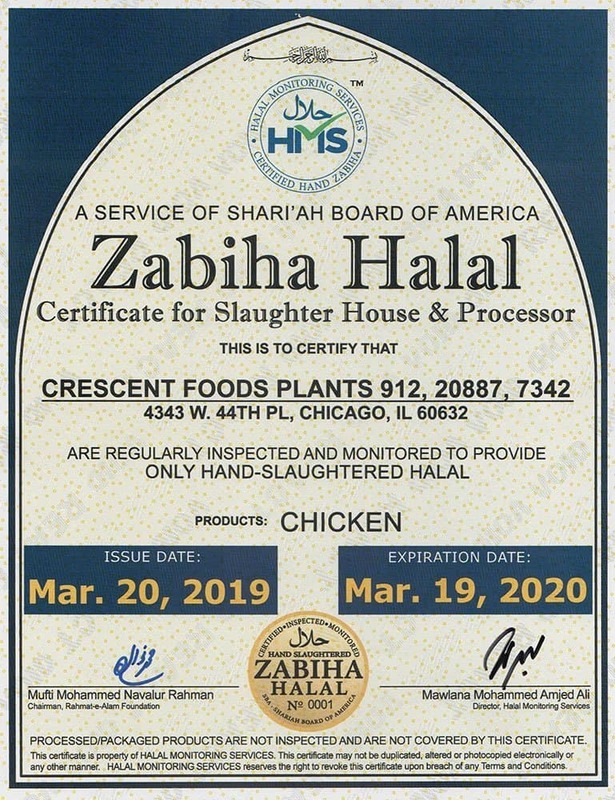 For further inquiry about the Halal certificate please contact Shar’i Zabihah Committee at 773.764.8274. All our cattle is Hand Processed Halal and meets strict standards and requirements for quality and transparency.